In Japan they have a practice of creating exquisite gilded sculptures of fish to put about the rooftops of important palaces and castles. The fish symbolize the buildings as being ‘under water’ in an allegorical sense, thus protecting them from the fires which would often destroy them. I always thought this was a beautiful and poetic cultural practice. Infact the bucket is called Deu-moo, made by metal. We could see 2 of them in each building in the palace . 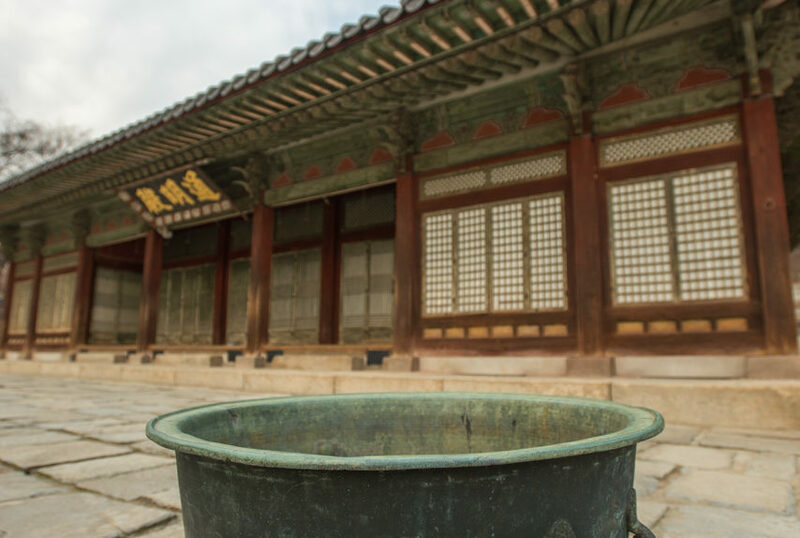 These are one of the relics which show symbolism in the palace, because the water inside the Deu-moo is not enough to stop spreading the fire. There is one story of Deu-moo and you can understand what Koreans hoped against fire. A fire devil which had a ugly looking face sometimes came to the palace to play. 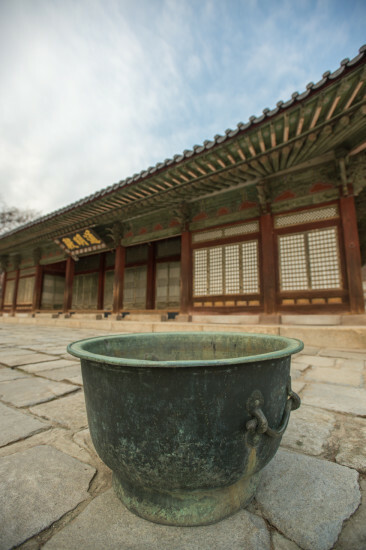 When he started fire in the palace, he saw a big metal bowl shape one in the palace. Couriously He came to the big bowl, Deu-moo, and looked inside. There was a horrible ugly face looking at him from there, the frightened fire devil ran far away and never came back. The water inside the Deu-moo refleced the face of fire devil, but the fire devil didn’t recognise. The fire was too strong so people made a symbol and creat a story. The most important thing is every palace has many ponds and small streams in it to stop the fire. This is a beautiful story Sangjin. Thank you for sharing the history and lore of the Deu-moo buckets!